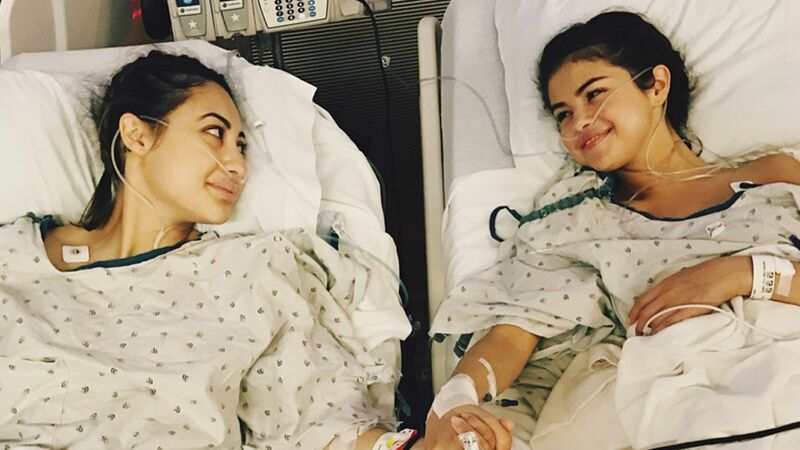 Francia Raisa is opening up about what exactly went into donating a kidney to her BFF, Selena Gomez. The Grown-ish star spoke in an interview to Harry's Harry Connick Jr. about the June 2017 procedure. "It's harder as the donor because we are losing something our body didn't need to lose, so trying to recover from that, and she's gaining something her body needed. So she's up and at it immediately and I had a hard time," she said, adding that she has four scars from the laparoscopic procedure. "That was very humbling," she continued. I couldn't take a shower by myself, I had to have someone help me because I couldn't move. I'm a very, very active person, so the fact that my doctor said I couldn't move for two months [was hard]. Two months, I couldn't do anything active. All I could do was walk," she added. "That was very hard for me and I have a dog and every day the thing I look forward to is drinking my coffee and walking and I couldn't do that. It was really really hard." She also shared about how the experience made her have tons of respect for women who get C-sections. "Those mothers out there who had C-sections, I feel you," she said. "I don't know how you take care of a child afterwards. It is crazy! I couldn't get up without having someone help me." She added that the experience made her and Selena family. "She felt bad about even having me do that because we are just friends, I am not her family or anything. Well, I am now. She has my blood," she said. "We just wanted our families around and it was cool because now I have a big family. I lost my grandparents when I was younger… Her grandparents are my grandparents now and so I have this extension of a family and it's been really amazing."